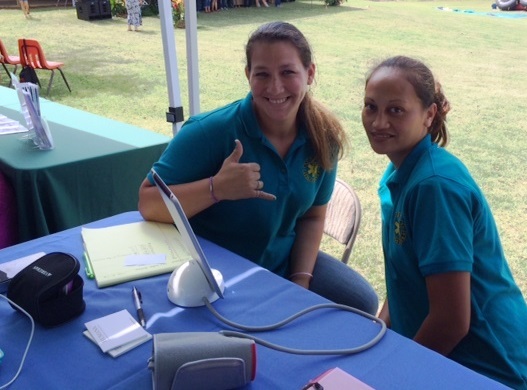 May « 2014 « Ka'u Rural Health Community Association, Inc.
HONOLULU – Gov. Neil Abercrombie has proclaimed May “Stroke Awareness Month in Hawaii” to urge residents to familiarize themselves with stroke risk factors, signs and symptoms, and take action at first sign of a stroke. The Governor’s proclamation honors American Stroke Month, which is traditionally held nationwide in May. During this month, the American Heart Association/American Stroke Association, The Queen’s Medical Center, and the Hawaii State Department of Health (DOH) are conducting an awareness campaign to help Hawaii residents recognize the warning signs of a stroke. Print advertisements are being displayed throughout the month of May in all Oahu buses. These ads teach the new F.A.S.T. acronym, which describes how to recognize a stroke and what to do immediately if one occurs. “We want the people of Hawaii to know how to spot a stroke and to take immediate action because quick recognition and treatment can lessen the impact of having suffered a stroke and even save a life,” said Health Director Dr. Linda Rosen. “If you or your family is at risk for stroke, make learning and sharing the stroke warning signs a top priority.” Dr. Rosen is also a member of the Hawaii Stroke Task Force created by Senate Concurrent Resolution No.155 S.D. 1. Nearly 78 million Americans and 300,000 Hawaii residents have high blood pressure and many more are not aware that they have it. Stroke is a leading cause of serious long-term disability in the U.S. and the third leading cause of death in Hawaii, killing about 600 people in the state each year. Someone in the U.S. has a stroke every 40 seconds, yet 80 percent of strokes are preventable. More than three out of five adults in Hawaii cannot identify stroke warning signs or symptoms and the need to call 9-1-1. · F – Face Drooping: Does one side of the face droop or is it numb? Ask the person to smile. · A – Arm Weakness: Is one arm weak or numb? Ask the person to raise both arms. Does one arm drift downward? · S – Speech Difficulty: Is speech slurred, are they unable to speak, or are they hard to understand? Ask the person to repeat a simple sentence like, “The sky is blue.” Is the sentence repeated correctly? · T – Time to call 9-1-1: If the person shows any of these signs or symptoms, even if the symptoms go away, call 9-1-1 and get them to the hospital immediately. Information and tools to help people to prevent, treat and beat stroke are available at StrokeAssociation.org/strokemonth. This includes a free risk assessment that helps individuals evaluate their personal stroke risk and work with their doctor to begin a prevention plan. Together to End Stroke also offers a free “Spot a Stroke F.A.S.T.” mobile app for iOS and Android that includes the warning signs and a searchable map to find local hospitals recognized for heart and stroke care. For more information about stroke or American Stroke Month activities, visit StrokeAssociation.org/strokemonth. Follow #StrokeMonth on Facebook and Twitter to add your voice to the conversation. Aloha from the Hawai‘i State Center for Nursing (HSCN). To celebrate Hawai’i nurses and Nurses Week 2014 (May 6-12, 2014) the Hawai’i State Center for Nursing (HSCN) is proud to publish the infographic, Fast Facts About Nursing In Hawai’i. The National Nurses Week theme, Nurses Leading the Way, serves as a reminder of the key roles that nurses play at the hospital bedside, in long-term care and the community, and in leadership positions influencing health-care delivery. Fast Facts About Nursing In Hawai’i is in two parts. The first part is below; Part 2 will be released tomorrow. The infographics show the what, where, when and how nurses make a difference every day. The Hawai‘i State Center for Nursing focuses include collecting and disseminating nursing workforce data in Hawaiʻi, recruitment and retention of nurses, and research on best practices and quality care outcomes. The Center is located at the University of Hawai‘i at Mānoa’s School of Nursing and Dental Hygiene, and has an advisory board appointed by the Governor. HSCN is funded by Hawai‘i nurses through a surcharge on licensing fees. A Report to Governor Neil Abercrombie and the Hawai‘i State Legislature,” go to http://hawaiicenterfornursing.org/annual_reports/. For more information about the Hawai’i State Center for Nursing visit our website at hawaiicenterfornursing.org. During the 2014 state legislature HAH tracked, sponsored and had an impact on more legislation than ever. The legislation which the association supported will generate revenue, cut down on regulatory and legal burdens, increase patient access and improve the healthcare delivery system in our state. Home Care Licensing (HB2094). 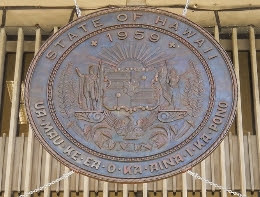 Extends the 2014 sunset of Act 21, Special Session Laws of Hawaii 2009, to June 20, 2019 and appropriates funds to establish a full-time equivalent permanent position in the Department of Health to facilitate the licensing of home care agencies. Mental Health Notice of Discharge (HB1723). Exempts hospital discharges of non-forensic psychiatric patients from section 334-60.7, Hawaii Revised Statutes, discharge requirements, allowing hospitals to discharge involuntary civil commitment patients when the treating physician determines patient is fit for discharge without seeking court approval, as previously required. The measure will make important services available to other members of the community, and will result in significant cost savings to hospitals with psychiatric facilities. Sustainability – Hospital (HB2293). Extends the sunset for the hospital sustainability bill beyond the existing sunset of June 30, 2014. The legislation raises funds from private facilities to draw down $38.3 million in federal matching Medicaid funds to improve reimbursements that would maintain access to care for this population. No state funds and no taxpayer dollars will be used. Sustainability – Nursing Facility (SB2057). Extends the sunset for the nursing facility sustainability bill beyond the existing sunset of June 30, 2014. The legislation raises funds from private facilities to draw down $9.5 million in federal matching Medicaid funds to improve reimbursements that would maintain access to care for this population. No state funds and no taxpayer dollars will be used. Emergency Management (HB849). Recodifies Hawaii’s emergency management statutes by updating statutes established more than half a century ago, recognizing changes in the field of emergency management and reorganization of the federal emergency management infrastructure. Telehealth (SB2469). Modernizes the practice of medicine in Hawaii by promoting telehealth—which is used effectively and extensively throughout the country—by requiring coverage for telehealth services. The bill would (1) require reimbursement for telehealth services to be equivalent to reimbursement for the same medical services provided in person; and (2) include primary care providers, mental health providers, oral health providers, advanced practice registered nurses, psychologists, and dentists as eligible telehealth providers. POLST – APRN (HB2052). Increases access to Provider Orders for Life-Sustaining Treatment (POLST) by updating references from “physician orders for life-sustaining treatment” to “provider orders for life-sustaining treatment” throughout chapter 327K, HRS; expanding healthcare provider signatory authority to include advanced practice registered nurses; and correcting inconsistencies over terms used to describe who may sign a POLST form on behalf of a patient. Naturopathic Physicians (SB2577). Requires naturopathic practitioners to fulfill the same education, examination, and training requirements as physicians or osteopathic physicians licensed under chapter 453 to qualify for prescription privileges. Advanced Practice Registered Nurses (Act 46). Replaces references to advanced practice registered nurse recognition with advanced practice registered nurse licensure to align Hawaii’s law with national standards.